Assets constitute an important part in life of every human being from the ancient times and therefore every person saves huge amount of their money for their future endeavors. Apart from saving sufficient amount of money people also invest their savings in buying different types of assets for instance property, jewelry items, different types of financial documents etc. The main reason for buying different types of assets is that these assets do not lose their importance for generations, on the contrary their value keeps on increasing from one generation to another. And whenever they need to meet any of their financial obligations they can arrange for it by selling any of their assets. 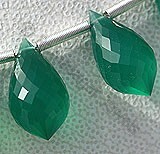 Shine and brightness of gemstone beads has always fascinated human beings towards itself from centuries. It would be interested to know that in current scenario when different countries of world fight against each other to maintain their dominance of specific part of land, in early day’s rulers of different countries fought each other to capture not only their land but also their all valuable assets. However with changing time and emergence of democracy all countries now follow the practice of friendship and fraternity between each other. But the importance of assets still continues. Here one thing which needs to specially mention is that apart from being used as important assets, jewelry items are also used as important accessories used equally by both men and women for enhancing their looks. 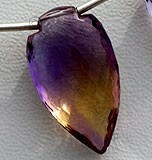 Gemstones beads have been used in production of different types of jewelry items including rings, earrings, and various others. The main charisma of these beads which attracts people towards them is their vibrant color which is similar to appearance of rainbow coming out after rain. 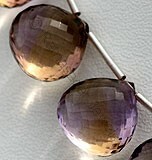 Apart from this one more thing about these beads makes people passionate towards them is their style and design. But have you ever thought that how the creators of these designs get idea of giving these beads a unique shape, because giving these beads different shapes is not an easy task and a person needs to be an expert before trying his skills in creating jewelry items from these beads. Here it would be important to mention the name of Ratna Sagar jewels that specializes in creating state of the art from beads. One more fact which differentiates this jeweler group from other jewelers apart from their creative and innovative design is that they create items of different designs depending upon the requirement of customers for instance a proposal ring, an engagement ring or any other gift item. 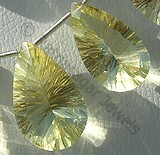 The credibility of gemstone beads do not lies only in their fascinating looks and design. 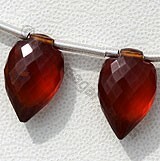 But apart from being used as most liked jewelry items these beads are also blessed with various spiritual powers. 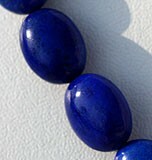 It is said that wearing of these beads gives peace of mind to the person bearing them. 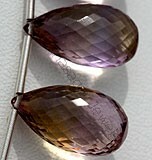 For instance amethyst gemstone beads also known as stone of mind or stone of bishop it is said wearing of this stone helps to controlling different types of addictions, moreover as these beads are suitable to color of human skin wearer do not feels any kind of embarrassment on wearing them. Well this is only an illustration of spiritual power hidden in amethyst gemstone beads there are different types of spiritual and medicinal powers present in different types of beads. It said that by putting gemstone beads below pillow provides a pleasant sleep to the user, similarly these stones can be used for various physical problems like insomnia, migraines, arthritis, skin diseases.